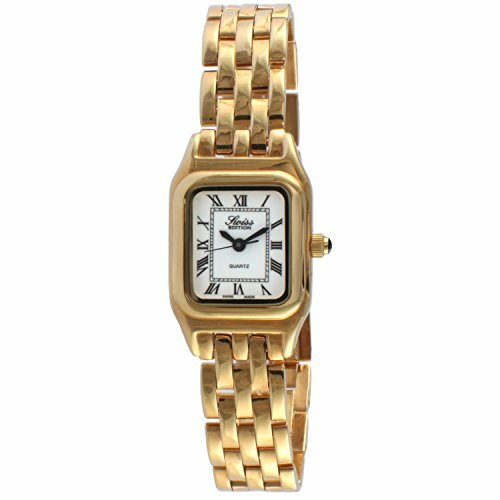 Lovely gold-tone bracelet watch with a minimal tank case. Petite square case with a white dial and black Roman numerals and hands with an inner minute track. Watch is powered by a Swiss movement, the most durable and accurate movement in the industry. Links can be added or removed for custom sizing. This is a timeless women's dress watch! If you have any questions about this product by Swiss Edition, contact us by completing and submitting the form below. If you are looking for a specif part number, please include it with your message.